Metrowest MA Heating, AC & Plumbing Experts for Over 85 Years! When it comes to great service for your home or business, it doesn't get better than the professionalism and dedication of Rodenhiser. It's an unsurpassed level of service built on a promise that ensures you get the very best - when you call Rodenhiser your satisfaction is guaranteed. 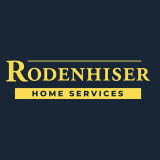 With 90+ years of delighted residential and commercial clients, you can be sure that it's a promise that Rodenhiser delivers on every day. Nicholson Plumbing, Heating & Air Conditioning is the company of choice for all your plumbing, heating and air conditioning repair and replacement needs. Our commitment is to you, our customer, and to provide you with outstanding plumbing and HVAC service. You can rest assured with our 100% satisfaction guarantee, 24-hour emergency service, solid warranty and highly trained technicians. Your time is valuable, and therefore our technicians will arrive at your home within a two hour window. 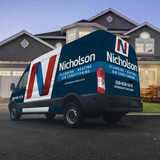 When you call Nicholson you can trust our courteous and experienced technicians will surely exceed your expectations. 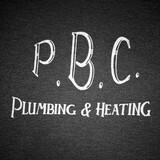 For over 40 years P. B. Charbonnier Plumbing and Heating has been servicing Greater Boston, MetroWest and Upper Cape. With services ranging from new heating solutions, to bathroom renovation or a simple leaky pipe, P. B. Charbonnier Plumbing and Heating has done it all. Professional attitude and craftsmanship has brought us to the pinnacle of the plumbing and heating industry and a name to be trusted here in Massachusetts. And now we are taking another step in helping you choose the right outfit for the job. Contact us at 508-328-7664, or 617-458-0640 or e-mail us at pbc_plumbing_heating@yahoo.com and see why we are the answer to all your plumbing and heating needs. Family owned and operated we offer only the finest in customer care. Qualities we are best know for are attention to detail, and the ability to understand and execute projects on time and on budget. Coming from various aspects in the industry Stephen Akian (owner) is set to raise the bar when it comes to client-contractor relations. Efficiency Plumbing & Remodeling is a family owned and operated full service plumbing and remodeling company led by brothers, Michael and Carlo Tardanico. Michael is a Master Plumber and Carlo is a General Contractor and Apprentice Plumber. With over 20 years of experience, EPR specializes in custom bathroom remodeling as well as additions and plumbing services such as high efficiency heating installations, gas fitting, and water heater installations. EPR guarantees high-quality construction for each and every product. EPR’s goal is to make your renovation a seamless process and finish on time and on budget. Established in 1990, Papalia Home Services has been providing “Good Clean” service to metro-west home owners for nearly 30 years. When customers call Papalia Home Services for their plumbing, heating, air conditioning, electrical, and main drain needs, they know they can expect quality service to be provided promptly by a professional team that is continuously trained, certified, and updated with the very latest home technologies. “Our goal is to take the mystery out of home service solutions"
Stefani Plumbing & Heating Inc. Introducing Mom and Pop Plumbing & Drain Service. We offer Old Fashioned Service with a Modern Twist. At Mom and Pop Plumbing & Drain Service, we still believe in the value of a firm handshake. One we shake hands, know that you are in the best care when it comes to your plumbing or drain problem. Trust that we will find the best solution for YOU and YOUR BUDGET. We take extra steps towards educating all of our customers through out the entire process of your service call, by inviting the customer to watch or periodically check on progress. We do not want our customers to feel as if we are performing work on their property for the benefit of us. We want to earn and keep their trust, and not just have a customer for life, but a friend. Pete Czmyr is the owner of Mom and Pop Plumbing & Drain. He has 18 years of plumbing experience in all fields (Service, New Construction, Remodelling). Pete finds that the Service Industry is the most rewarding. 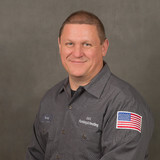 He enjoys the fact that he has "Saved The Day", when he completes a service call, knowing that the customers mind is at easy and their problem is gone. Mom and Pop Plumbing & Drain Service offer a full two year warranty on labor and 1 year on parts. This is know as the "Firm Handshake Guaranty". Please give us a call today, so you can sleep tonight! Hello..My name is Mike Richard. I'am a self employed plumbing and heating contractor who has been in business since 2006. Please don't hesitate to contact me for all your plumbing ,heating and gas work needs. I also work with many quality contractors, who can work with you from start to finish on any of your construction needs. Thank you. High Quality Plumbing LLC is family-owned and operated, and is providing Boston, Metro West and surrounding residents and business owners with quality plumbing and heating services. We are a local company located in Woburn, MA. We do small heating and plumbing projects, as well as large contracting jobs both commercial and residential. When you need high-quality professional plumbing or heating services, you can count on High Quality Plumbing LLC. Our priority is superior quality of work and services rendered to you. We take pride of providing affordable and reliable plumbing and heating services and look forward to serving you in the future. CJ's Plumbing & Heating is a Licensed company that has been serving Smithfield County and the surrounding area with plumbing and heating services since 1997. At CJ's Plumbing & Heating we strive to provide professional, dependable, quality service at fair and reasonable prices. Our goal is to achieve long term working relationships with our customers. Our Master Plumber has over 20 years of experience in the plumbing & heating business - everything from Bathroom Additions and Remodeling, Kitchen repairs and remodeling, water purification systems, Installing or replacing Gas Lines. High efficiency heating services, boiler cleanings and testing, and more. We are a trusted source of plumbing & heating service in the Rhode Island & Massachusetts area. Fully Licensed and Insured you can rest assured knowing that if the unexpected happens with any of the services we provide you're fully covered! Serving the City of Boston/ Metro west from Rehabs to additions and heating systems as well. H.O. Services is your residential service company. We provide plumbing, heating, cooling, and electrical service in the Greater Boston area. We service Greater Boston, North Shore, South Shore, Metro West, and everywhere in between with fast same day service. If you are looking for any service for your project, remember: big or small, H.O. Services does it all. We are Boston's Home Team. A plumbing contractor handles the installation and repair of water, sewage and natural gas pipes throughout a home, as well as interior and exterior faucets and fixtures. Plumbing contractors are also trained to work with water mains, septic tanks, laundry appliances, water heaters, sump pumps and other plumbing and pipe systems. Because plumbing repair work is done largely behind walls and beneath floors, some plumbing companies can also patch or replace tile, stonework and other surfaces. Although some Norfolk plumbers are generalists, others specialize in specific areas; a 24 hour emergency plumber will handle urgent residential repairs, while others may be more skilled in remodeling, natural gas lines, overhead sprinkler systems and more. Find a local Norfolk plumber on Houzz. Narrow your search in the Professionals section of the website to plumbing contractors in Norfolk, MA. You may also look through photos of Norfolk, MA projects to find a licensed plumber who has worked on a project similar to yours. Here are some related professionals and vendors to complement the work of plumbers: General Contractors, Septic Tanks & Systems, Kitchen & Bath Designers, Kitchen & Bath Remodelers.